TFBoys member Jackson Yee (易烊千玺) has started college. Although the 17-year-old is trying to live the normal life of a college student, Jackson is attracting attention everywhere he goes on campus. 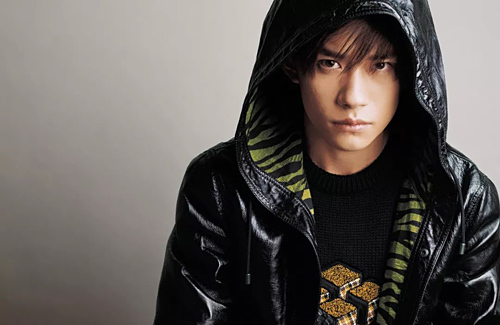 That is unavoidable as Jackson has grown up under the public eye since joining China’s hottest boyband, TFBoys, in 2013. Along with other popular child stars such as Leo Wu (吴磊) and Lareina Song (宋祖儿), Jackson graduated from high school in early June. Expectations were high from the fans and the media on Jackson’s final exam results, as he has been working in the industry for a long time. Jackson managed to come in first place for both the arts and performance arts entrance exams and was admitted into The Central Academy of Drama, while Leo and Lareina got into Beijing Film Academy. Many could not wait to see Jackson’s life as a college student, but he was not present on orientation day because he had to perform at the closing ceremony of the 2018 Asian Games in Jakarta. After starting school, Jackson made a presentation before his teachers and students. 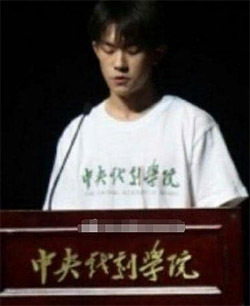 Wearing a white t-shirt with the school’s name on it, Jackson’s speech was motivating and positive to the audience. Outside of class, Jackson hangs out with his roommates and has gotten very friendly with them. In his photos with his roommates, Jackson acted like a playful teenager. His friends are all good-looking, but Jackson easily stood out due to his charisma. 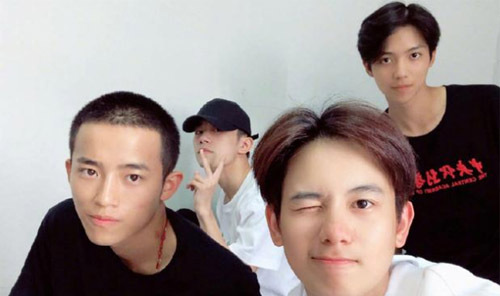 One of Jackson’s roommates is actor, Hu Xianyu (胡先煦). The pair had filmed television series, A Love for Separation <小别离>, together two years ago. Fans are glad that the stars are now roommates and hope to see them in another project together in the future. Is 易烊 a Chinese or Japanese surname?